The Music Man journey began in 1971, with a small company called Tri-Sonix, Inc. After a few hits and misses, founders Forrest White and Tom Walker invited their old friend Leo Fender to come aboard. 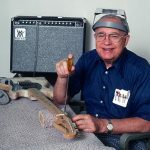 Leo Fender’s involvement was limited to a silent partnership, thanks to a 10-year non-compete contract that was part of the sale of Fender Guitars to CBS. Fender wasn’t happy with the Name Tri-Sonix, and eventually the company was re-named Music Man, at his urging. Music Man in the late-70’s/early-80’s was not a pretty picture. CLF Research and Music Man were treated as separate companies, headed by Leo Fender and Tommy Walker, respectively. 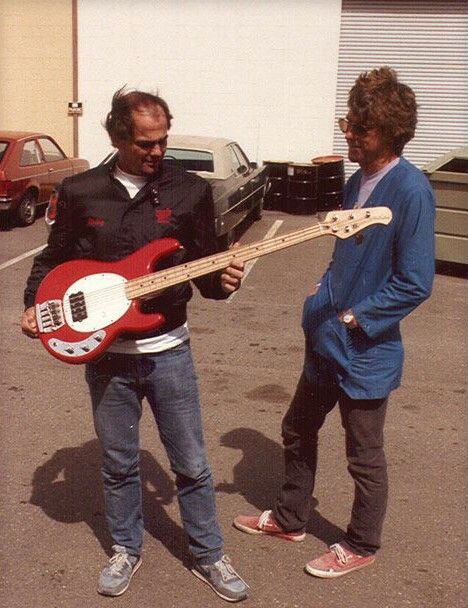 Fender made the instruments, while Walker’s company made the amps. The instruments were made by CLF, and shipped to Music for inspection and distribution. Problems with quality control caused Music Man’s inspectors to reject a high percentage of the instruments, and return them to CLF for refinishing. Music Man’s high quality control standards were costing CLF money, which opened a rift between CLF and Music Man. Eventually, production issues caused infighting and lawsuits, finally resulting in Leo Fender leaving the Music Man and starting G&L Guitars. Meanwhile, the remaining owners of Music Man continued fighting. Those dramatic blowouts are the stuff of legend in the guitar industry. At the same time, a guy named Ernie Ball was running a less-than-successful guitar company called Earthwood, with his partner George Fullerton. Fullerton had been a Fender employee since 1948, and was co-founder of G&L guitars with Leo Fender (that name again!) Ball and Fullerton were looking for a new venture, so they made an offer to take over Music Man. In 1985, Music Man began production of the first “modern” Music Man bass in San Luis Obispo, California, where they are located to this day. The new Music Man got off to a quick start. 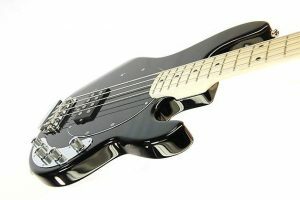 Musicians came around on the StingRay bass, and it remains one of their most popular models to date. Used by professional bass players on stage and in the studio, the StingRay effectively changed the bass guitar market. But what really set Music Man apart from the competition were their forward-thinking designs. 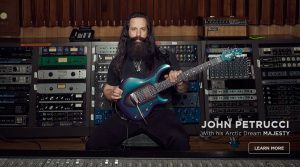 If you’re going to make signature models for guitar legends like Steve Lukather (Toto), Albert Lee, John Petrucci (Dream Theater), and Eddie Van Halen, your guitars better have some innovative tech features. Music Man gained a lot of traction in the industry by making players guitars, with cool technology like quick change pickup assemblies, Teflon coated truss-rods, low noise pickup designs, piezo bridge pickups, 5 and 6 bolt necks, sculpted neck joints, graphite acrylic resin coated body cavities and most importantly, consistently high quality fit and finish. Finally, under the control of Ernie Ball and George Fullerton, Music Man had come into its own. 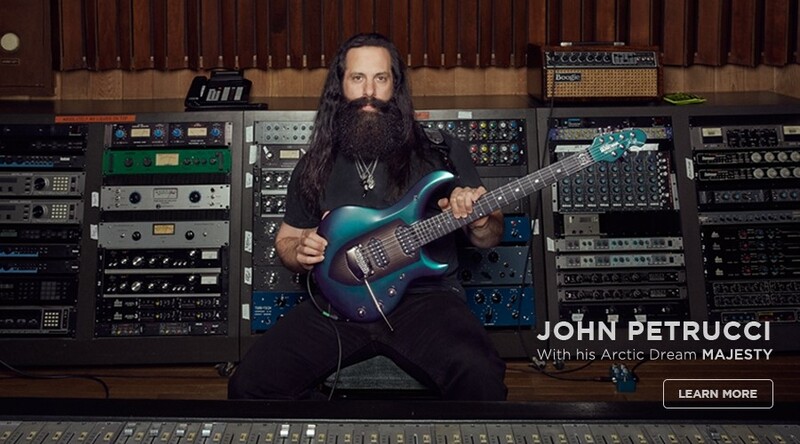 Their focus on quality, consistency, playability, and technology paid off, and now Music Man enjoys a reputation for building some of the coolest, most sought-after guitars on the planet. Music an makes a vast selection of signature models for some of the best guitar players in the world, and boasts an endorsee roster featuring some of the biggest names in the music business. Despite their use by professional musicians in every genre, Music Man instruments aren’t just for professionals. In 2009, in order to give everyone access to their high-quality instruments, Music Man introduced their Sterling by Music Man line of guitars. Using less expensive materials and far east production facilities, Sterling by Music Man gives you an instrument built to Music Man’s legendary standards and specifications, for under $1000. 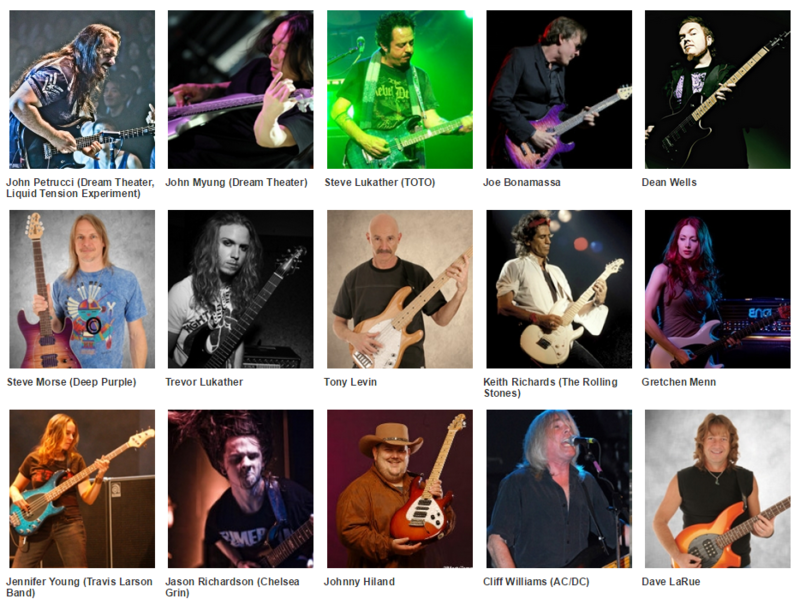 Guitar Hangar is proud to be an authorized Music Man dealer. We love Music Man because they consistently provide a level of quality and consistency that’s pretty rare these days. Pick up any Music Man guitar and you can instantly tell that you’re holding a top-quality instrument. Stop by the store and play one today, or check out our selection online.